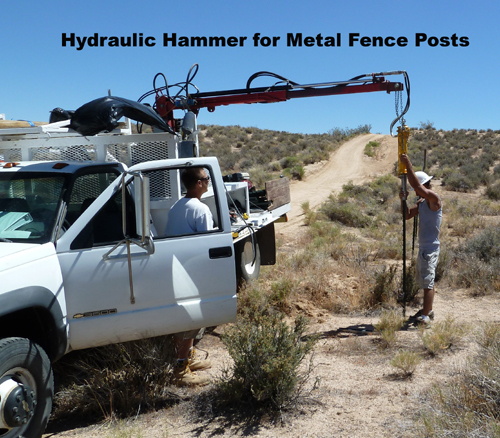 “Friends of Jawbone” came to us with a problem, putting holes into the Mojave Desert hard-packed decomposed granite for sign posts. Over the years FOJ has contracted with BLM to maintain roads and access ways. FOJ was asked to install thousands of signs and fences. Two man augers would burn out people in a day. Large trucks with augers caused too much damage to the environment. It couldn’t travel the small mountainous paths in the desert. Small tractors had to be loaded, unloaded and reloaded all day long since signs were so far apart. 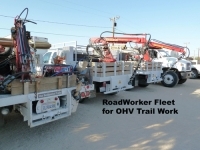 The RoadWorker is very special. It’s most obvious at sales demos when the people who work with machinery begin to figure out all of the ways they want to use it. The lights go on in their heads. You don’t need to send a crew when one person is enough. You also don’t have to send a large truck and trailer with a mini-tractor. 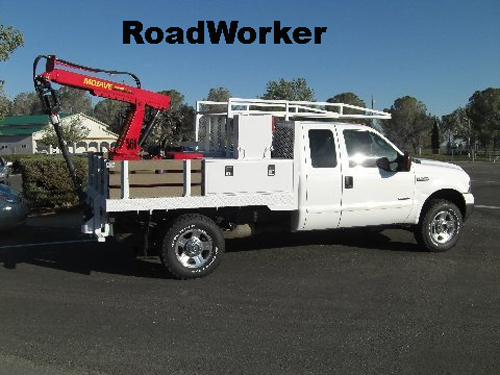 The smallest RoadWorker fits in the bed of a ¾ ton pickup and can be easily transferred between vehicles. The RoadWorker is best when you have to travel to jobs and don’t have all day to get the job done. 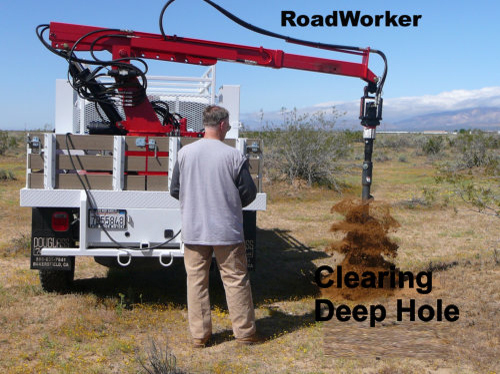 Whether you dig, pull, drill, lift, hammer, pound or vibrate, the RoadWorker is your very powerful multi-purpose tool.